The Canadians with the most to lose in NAFTA negotiations, including the continent’s highly integrated auto industry, have a message for Justin Trudeau: Don’t let Donald Trump blow the thing apart. Key industry groups, companies and stakeholders, including automakers and parts suppliers, are urging the prime minister to “do no harm” to the North American Free Trade Agreement while seeking updates on labour mobility, rules of origin and e-commerce. With Trudeau’s team remaining tight-lipped on its own priorities, the submissions to his government offer the best glimpse of the northern partner’s perspective. On Wednesday, Trudeau announced a NAFTA advisory council, a 13-member committee that includes Linamar CEO Linda Hasenfratz.. Fellow parts giant, Magna International, and the Automotive Parts Manufacturing Association (APMA) are among the companies and groups that made submissions to the federal government. Few industries exemplify the complex supply chains spurred by NAFTA like the auto sector -- and few auto companies could be affected by change more than Magna International Inc. The Aurora, Ontario-based firm employs 74,000 workers in Canada, the United States and Mexico, roughly equally in all three countries. While expressing support for modernizing the accord, it warned against sudden changes -- particularly around rules of origin, which regulate how much of a product must be domestically produced in order to receive preferential treatment under NAFTA. Magna also urged NAFTA negotiators to echo the Trans-Pacific Partnership deal, from which Trump has already withdrawn, on intellectual property protections and draw from Canada’s free-trade deal with the European Union on customs fees and regulations. The APMA, meanwhile, said the success of its members is “increasingly dependent on our ability to reach U.S. and Mexican customer bases,” President Flavio Volpe wrote. “Protectionist positions taken by any of the three countries will hurt them all,” he added. Canada exported C $355 billion (US $283 billion) in manufactured goods in 2016, with more than 80 per cent heading to NAFTA countries, according to the Canadian Manufacturers and Exporters. 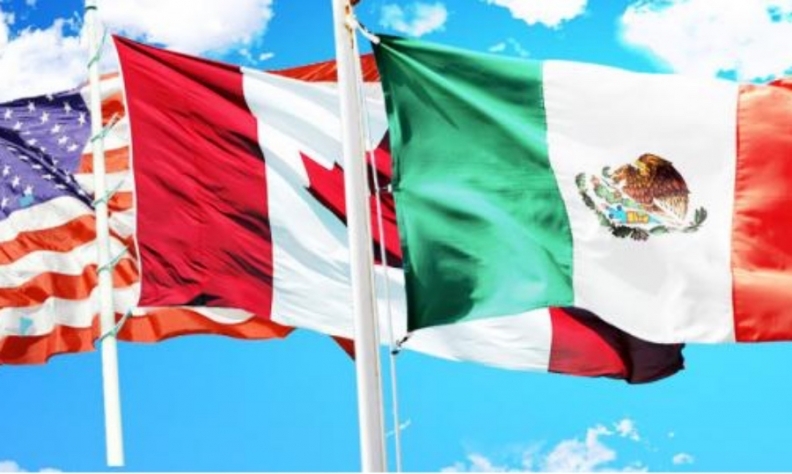 The industry group lauds NAFTA but sees opportunities to improve it, calling on negotiators to ensure “at least the same degree of access” into the United States and Mexico, cut administrative burdens, improve labour mobility, preserve Chapter 19, and bar state and local governments from Buy American-style restrictions. The U.S. wishlist was less radical than once feared, CME President Dennis Darby said in an interview with Bloomberg. “We might not agree with all of it, but at least it’s rational,” he said. Any kind of “comprehensive” renegotiation, as described in Trump’s priorities, will take time. “Unless there’s a lot of brinkmanship, this could take a while,” Darby said. NAFTA, largely uncontroversial in Canada, still has its detractors. One is organized labour, whose complaints of job losses and low Mexican wages echo those made by Trump. “NAFTA has failed workers in all three countries,” Unifor, a union representing auto workers in Canada, wrote in its joint submission with the United Auto Workers of the United States. Labour rights are under attack in the United States, essentially non-existent in Mexico and are threatened in Canada, they argue. “NAFTA renegotiations will only be successful if they lead to higher wages in all three countries, reverse crippling trade deficits with Mexico and create new manufacturing jobs in the U.S. and Canada,” the unions wrote. But Canadian businesses don’t want the crackdown on Mexico the U.S. president seems to be seeking. The chamber’s submission called for Canada to push back against Buy American policies and “vigorously defend” Chapter 19 dispute resolution panels, without which “the entire purpose of this negotiation will be in doubt.” It urged Canada to push the U.S. to end the practice of requiring a presidential permit for pipelines such as TransCanada Corp.’s Keystone XL project and to, as a possible concession, offer to hike foreign ownership limits on Canadian industries during talks. Talks begin Aug. 16 in Washington, D.C.